Years ago, I attended my first NJRW conference and began this crazy path to discovery and publication. At my first conference I attended workshops given by writers like Virginia Kantra and Molly O’Keefe, authors whom I still read and admire to this day. 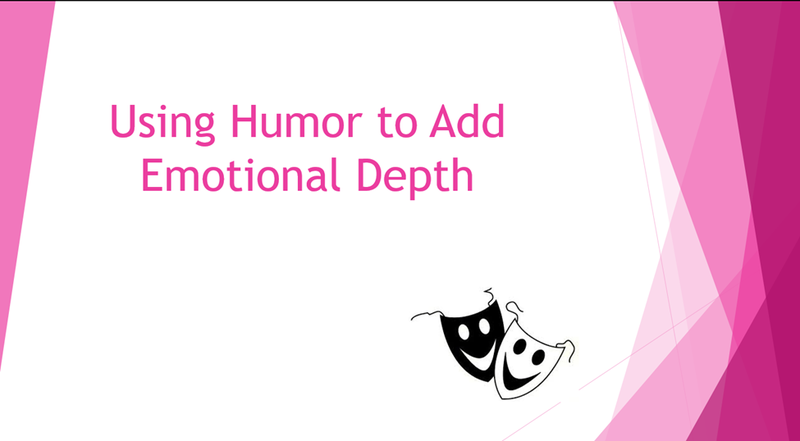 This weekend I will start a new phase of my journey when I lead my first ever workshop, Using Humor to Add Emotional Depth, at the NJRW 2015 Conference. If you have read the Brothers of Audubon Springs series, then you know humor is infused throughout the stories. It is my belief that humor, when it draws from your characters core beliefs, and fears, packs a powerful emotional punch that will make readers laugh until they cry. At least, that is what this workshop is about. I’ll discuss 4 pathways to using humor. If you are attending the conference, I’d love to see you. This entry was posted in Community, Conferences, NJRW, Workshops and tagged BROTHERS OF AUDUBON SPRINGS, writing. Bookmark the permalink. Wow, RoseAnn, congratulations! I wish I could go. I’m sorry never got around to doing that blog post about humor. It was too slippery for me! How exciting! Good luck with your workshop presentation. I’m sure you will be fabulous!! So wish I could attend! I know your participants will come away with much more information than they expected.